I know some of you have admired my work based on Natalia Garcia de Leaniz’s class at Polymer play Days in Nottingham 2010 (see below for a reminder). The focal in my Giveaway (still a few days left to enter!) is off course also made with this technique. 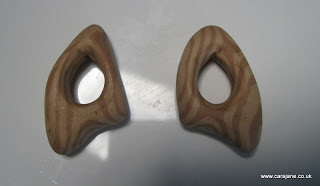 Further good news is that there will be a Polymer Play Days 2011 in the UK – see the blog for more details. And even better is that tomorrow I shall be packing to go to Polymer Pamper Play! I can’t wait to see some old friends, meet some people I know from online but not real life and meet some totally new ones and spend all that time with nothing to think about but polymer clay! We have a workshop in the mornings on Sat and Sun. 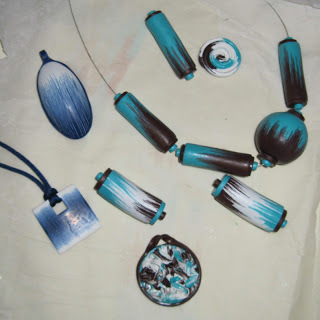 I am really looking forward to Christine Dumont’s butterfly beads workshop as this will compliment the Pods and cocoons workshop I was lucky enough to take with her earlier in the year. So my next post will be an exciting one as I will be announcing the winner of the give away and sharing what I got up to on my polymer clay weekend. Hope you all have a good weekend! 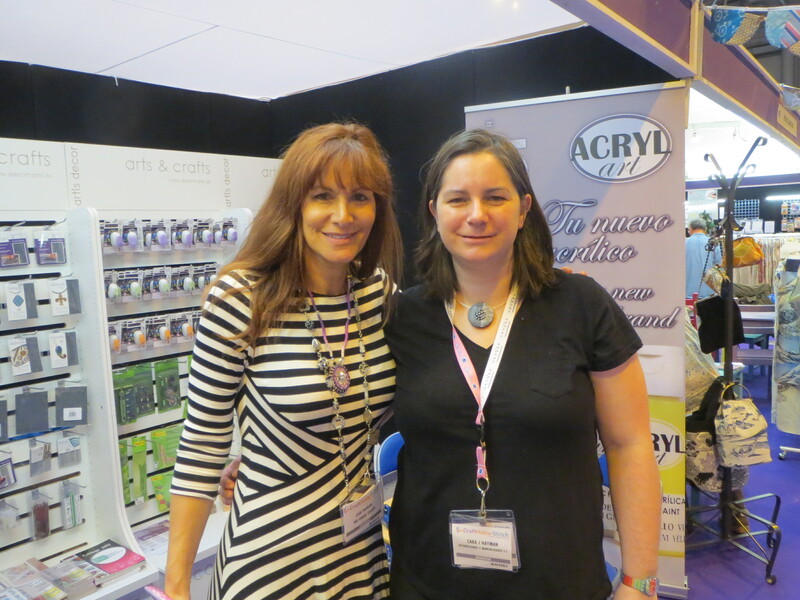 Craft, Stitch and Hobby International Polymer Pamper and Play was Perfect! Faux Wood Tutorial from Craft Edu by Sylvie Peraud It’s my birthday! Have a lovely weekend. I’m dead jealous! You did a nice job on the PC folding. I did see her class mentioned. Your creations are beautiful! Have an awesome time at Polymer Pamper Play…sounds like a whole lot of fun!